At the top of Mt. 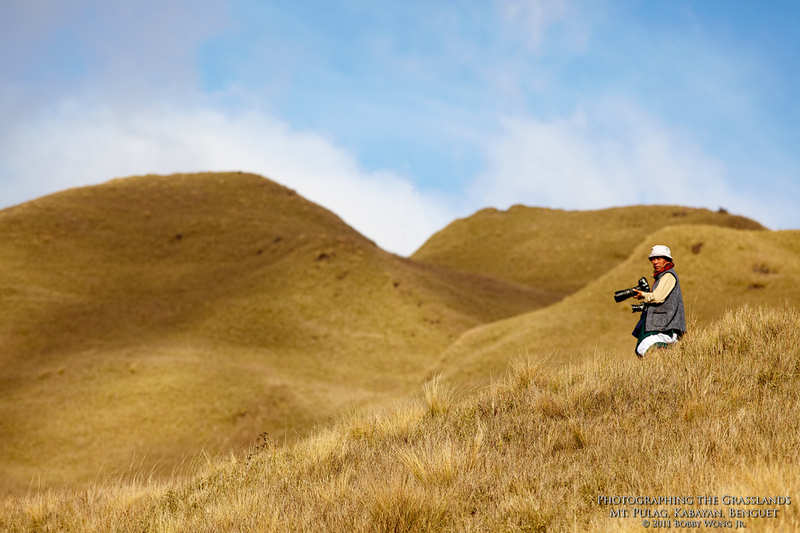 Pulag, it's grassland as far as your eyes can see. The entire peak is carpeted by a variety of bamboo grass that makes this landscape unique. And as sunlight pierced through the mottled clouds above, it casted shifting shadows on the ground below. It's worth seeing with your own eyes. In the grasslands, whether you are the predator or its prey, there's no place to hide. Today's predator is ace travel photographer Noli Gabilo combing the top of Mt. Pulag for iconic images. Pointing his camera in all directions, I wondered if there will be any unique images left for me to capture. But even a predator is someone else's prey, notably mine. I caught him in my sights as he worked the landscape, now that's an image I'm sure he doesn't have! Enjoy.